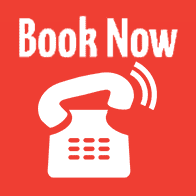 To book in please use the online booking tool above. If you can’t find an appointment at the time you want or your pet needs urgent veterinary attention please give us a call and we will do our best to accomodate you. You can also email us for other enquiries (please book online above for bookings) by filling in the form below. Please note there is a $20 surcharge per visit (ie a one off $20 extra weekend fee per family regardless if you book in 1 or more pets) on Saturdays and Sundays to help cover additional staffing costs.